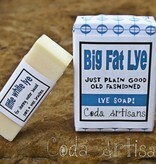 Handmade in the US in small batches this special formula is not your average lye soap! It's our favorite for cleaning Waxwell™ and Waxine™. It does a great job breaking down the wax and keeping the natural bristles strong and resilient by conditioning them as it cleans with no need for strong chemicals like mineral spirits. Bristle is like your own hair—if you strip out all the oils with strong soaps, it becomes brittle and prone to breakage and excessive loss. Conditioning the bristle is key to keeping that natural bristle at its best. 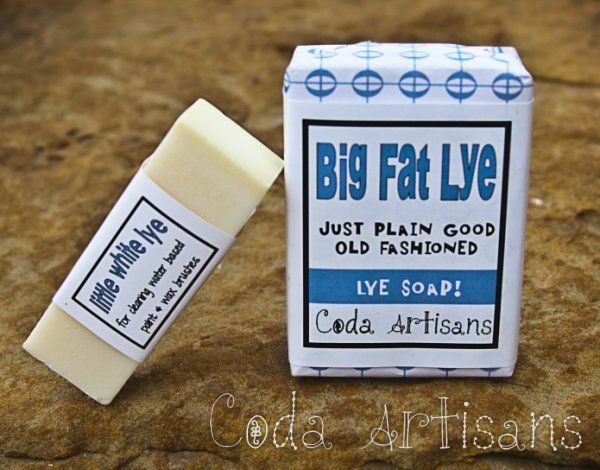 Big Fat Lye conditions your brush while it cleans WITHOUT leaving behind a residue that can later transfer over to your project like hair conditioners or national brand oil soap sprays can. More economical and easier than artist brush conditioners…and it works better too. BONUS: A "miracle" stain stick for your laundry and a natural remedy for posion ivy!